I wanted to share what I made for our new neighborhood’s block party, Hatch Green Chile Relleno Casserole, really good! 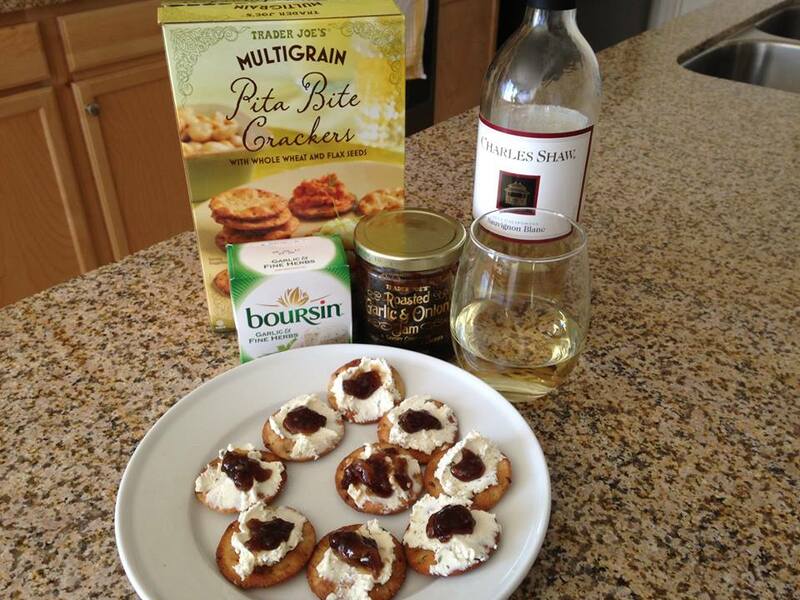 This recipe is a riff off of a pal of mine (Mahalo Kathy) from one of the Food Forums that I follow. 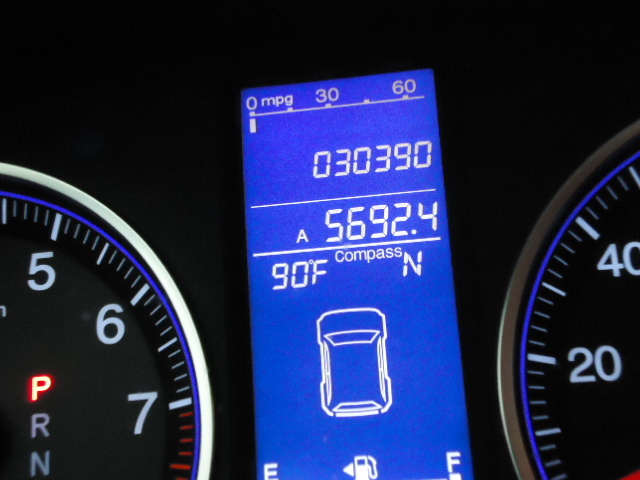 Preheat the oven to 350⁰. Grease the bottom and sides of a 9×13 pan. Reserve 1/2 cup of cheese for the top. Layer the pan, alternately with Chiles and Cheese, creating three layers, ending with Chiles. In a bowl, whisk the flour with the baking powder; then whisk in the milk and eggs until smooth. Pour this mixture gently into the pan and bake for 30 minutes. Remove from the oven, and pour Green Enchilada sauce evenly over the top. Sprinkle the cumin and oregano on top of the sauce, and cover with reserved cheeses. Return to oven, and bake an additional 20 min, until the cheese on top just bubbles. Allow the casserole to rest of 15 minutes before serving. That’s not bad for a meatless dish. I figured 9 servings can be had from a 9 X 13 inch pan, and I think that’s a generous serving. This dish was gone in a hurry! I didn’t know that there were so many folks here in the middle of the desert that didn’t eat meat, and did you see how low the carbs are? Of course, you can change out the Hatch chiles for any sort you prefer, also the cheese. I think that a Pepper Jack Cheese would be wonderful or even sharp Cheddar, MMM! In a medium sized bowl, mash the Avo’s to your liking, I like mine on the chunky side. 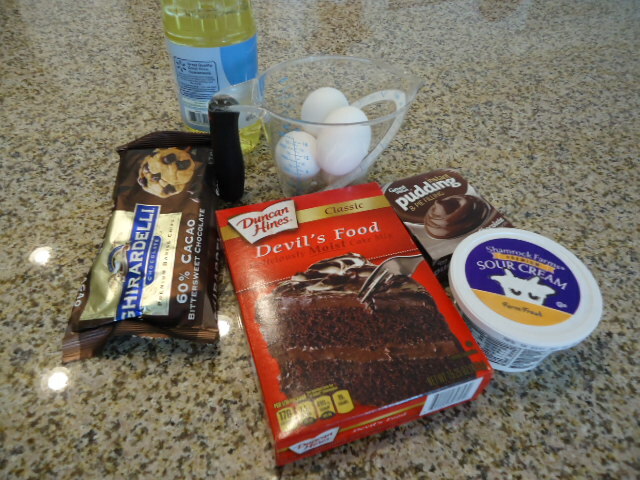 Add the remaining ingredients and mix well. 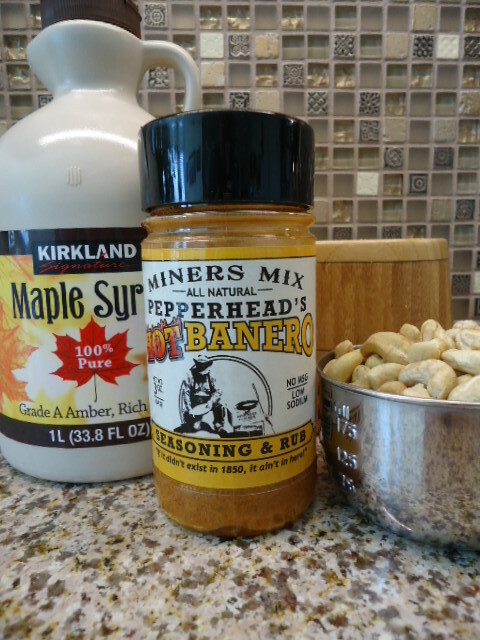 Taste for seasoning, does it need more Hot-Banero? Go for it! Take a piece of plastic wrap, cover so that the plastic is touching the Guacamole, so as not to brown. Refrigerate for at least an hour to allow everything to marry their flavors. 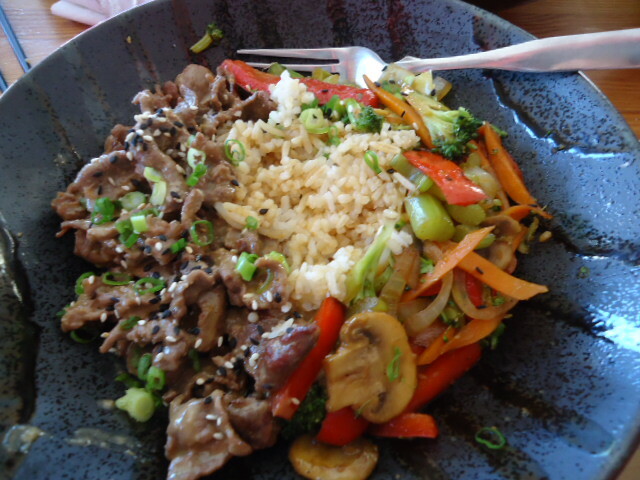 Can you see all of those Peppers in there and Spices in there? 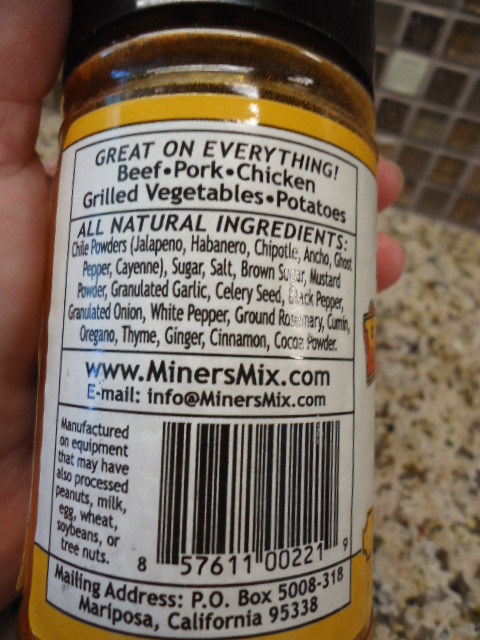 I’m pretty sure I mentioned to the class that I received a very generous gift of assorted Seasonings and Rubs from the Ole’ Miner at Miners Mix. 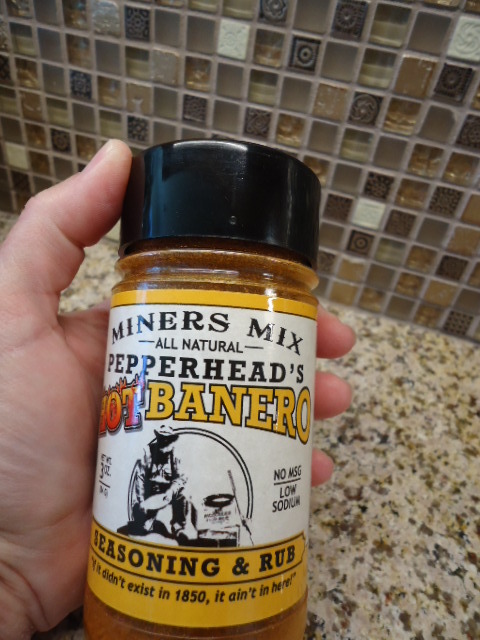 The spiciest mix of the lot is this Pepperhead’s Hot-Banero; can you see that this one has Ghost Peppers in it? 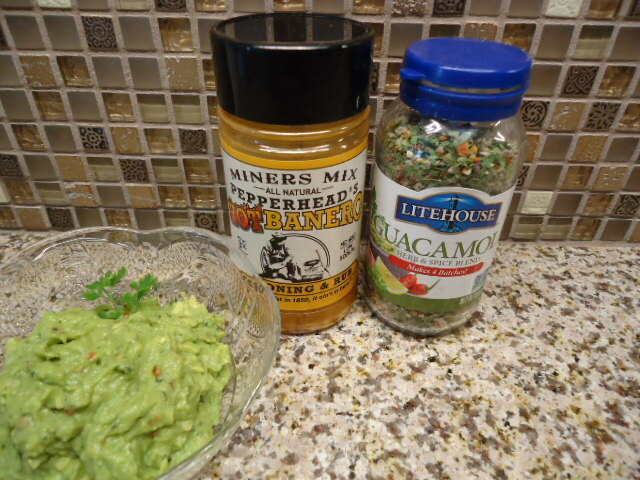 My husband’s good buddy, Mister Dear Friend, is a true Pepperhead and LOVES everything muy caliente! So I was sitting here tried to think of what else I could use this warm spice with/on … DING! 💡 Spiced Nuts! So I gathered my ingredients and got to work. Pre-heat our oven to 325⁰. In a medium sized bowl, combine until smooth, the first 3 ingredients. 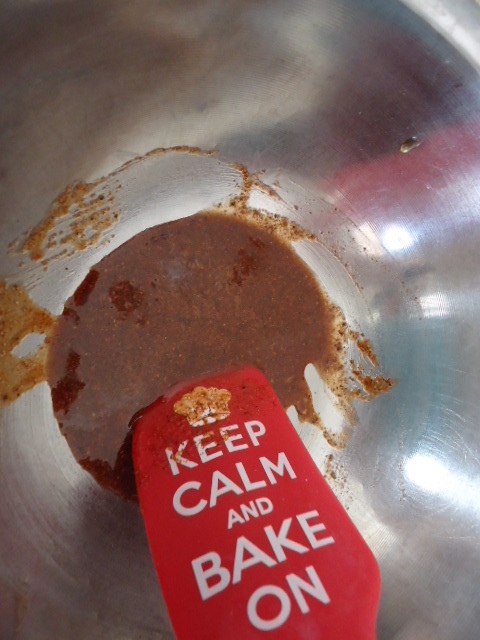 Add the nuts and mix until all the nuts are evenly coated with the spice mixture. Line a rimmed baking sheet with tin foil and spray with cooking spray. 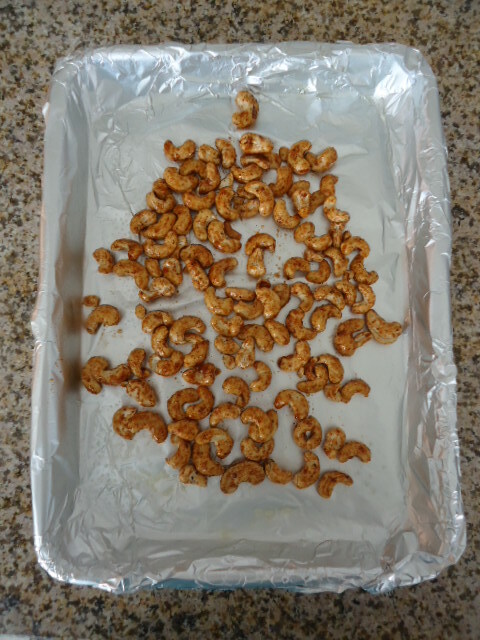 Spread the nuts in a single layer on the pan and bake for about 15-20, or until the nuts are fragrant. Cool and serve or package in a zip bag for later munchies. HEH! Christmas is coming, would this make a great gift for any Pepperhead? 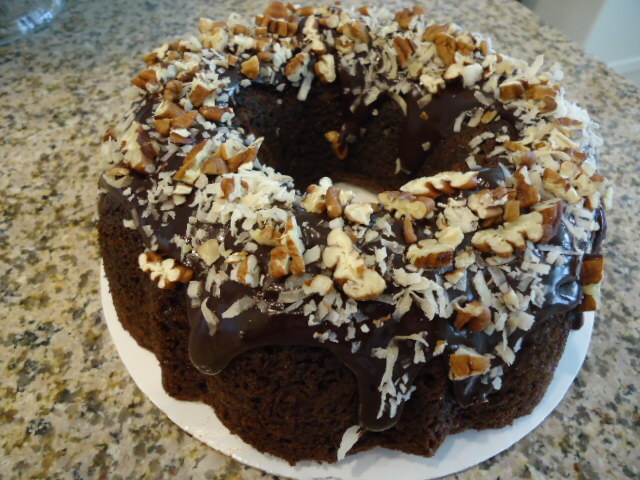 I love Bundt® cakes! For the most part, they’re moist and tasty. 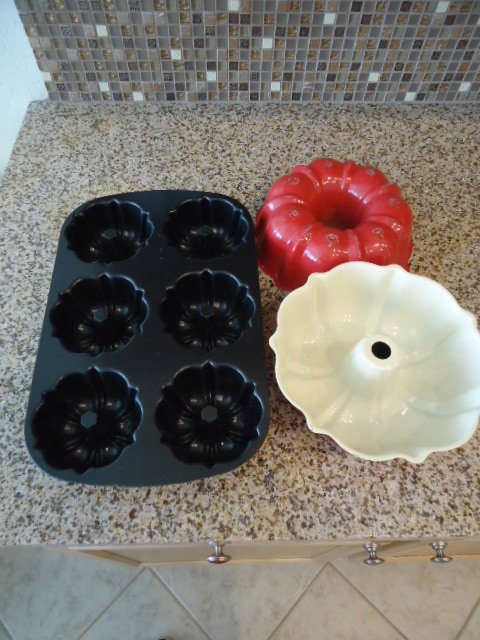 I even have more than one type of Bundt® pan, with another one on its way. 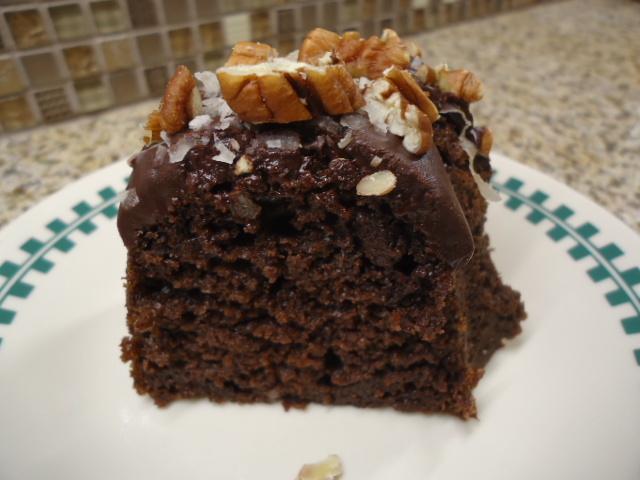 I saw a recipe somewhere for Chocolate Bundtlettes, heh, I have a pan like that! But as I thought about the recipe, I figured I could one up that! 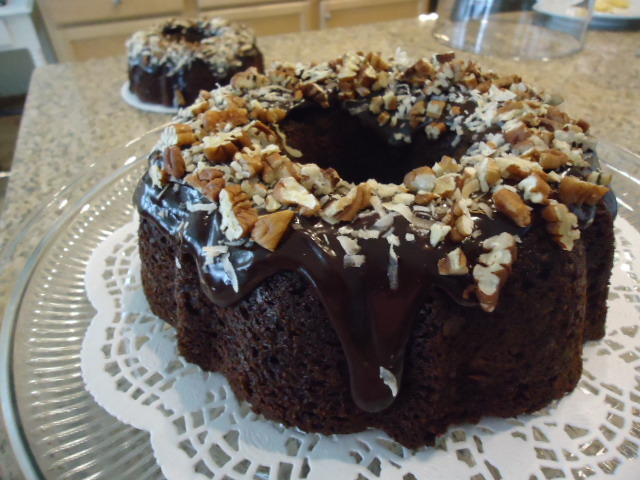 I’ll make the cake in my Half-sized Bundt® pans and then guild the lily farther. In a Stand Mixer or using a Hand Mixer, combine all of the ingredients until smooth, excluding the Chocolate chips, stir those in last. The batter with be like thick pudding. 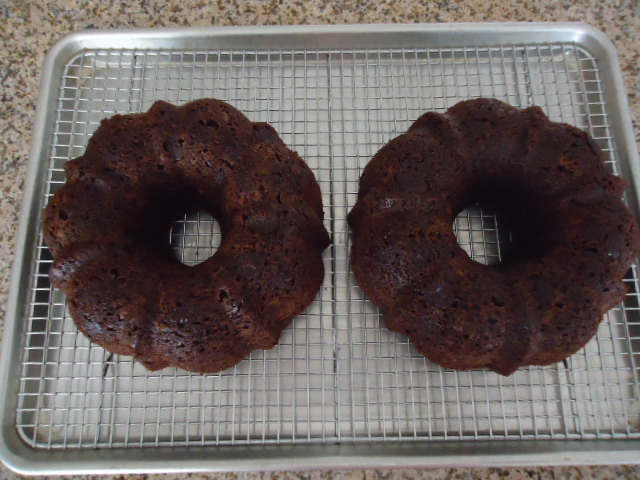 Using a Baking Spray, grease the two Half-sized Bundt® pans; immediately pour the batter evenly between the two pans (I use a scale to be accurate). Bake for 20-30 minutes, until a cake tester comes out clean. Place the cakes on a cooling rack and set aside until completely cooled and then turn them out (I run a disposable plastic knife around the edge of the pan first) on to the rack, fitted in a sheet pan. 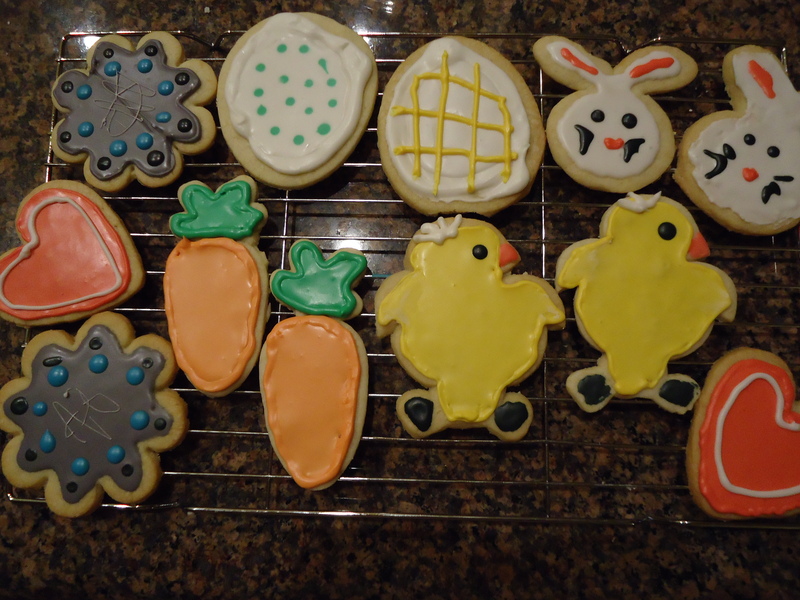 Now comes the fun part, frosting and decorating those two cuties! I wanted a bumped up Ganache Frosting, so I kinda winged it. In a glass bowl, heat the ½ & ½ in the microwave for 30 seconds or so, just til hot but not boiling. Add the Chocolate Chips and stir gently until all of the Chocolate is melted. You might need to “nuke” it again for a few seconds. Pour the still warm Ganache over the two cakes; sprinkle the Coconut and Pecans into the Ganache, pressing very lightly in so that they stick. Slice and enjoy with a cup of coffee or a big glass of cold milk. I took one of the cakes to our next door neighbors and put the other one into our Covered Cake Plate. It should keep for 4-5 days, that is if you don’t devour it!